Sam Wexler, a charter member of FINE, will be running the meeting this month. Sam has been a very successful serial entrepreneur since the 1970’s with ventures across the USA and is always looking for new ideas. This is a great opportunity to hear what has worked so well for him and to ask questions related to your current business or any venture you may be thinking of pursuing. Location: Whole Foods, 350 Grasmere Avenue, Fairfield, next to Home Depot. Hope you will be able to attend. Come with a business problem and we’ll help solve it for you. Time: Thursday December 11, 8:30-9:30am. BRING FRIENDS AND COLLEAGUES WITH YOU!!! The next meeting is going to be a Thank Goodness It’s Spring Party at Taco Loco at 3170 Fairfield Avenue, on the Fairfield/Bridgeport line, on Thursday April 10, 2014. Come enjoy appetizers (we’ll split the cost) and Margaritas (pay your own) and enjoy meeting and networking with everyone. Invite your friends, family and colleagues. The More the Merrier! Everyone had a blast in December so let’s meet and enjoy. Please rsvp to Eva Greenwald at: eva@evasbesttravelandcruises.com byApril 9. If you would like to join us and offer a special or discount to promote your business on Small Business Saturday, please email Eva no later than November 21 at 6pm at eva@evasbesttravelandcruises.com and write, in one sentence: The name of your business, the offer, your phone number/address if you are a store front, email and website address. Eva will create an email blast with all of the offers that each participant will send to their list. The email will be ready on November 23 giving us a full week to get the information out via social media, email, etc. 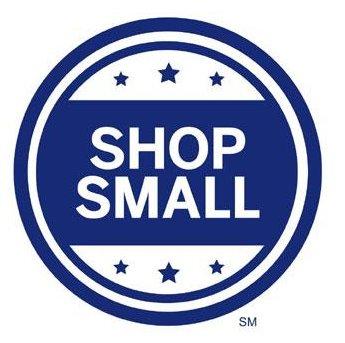 For more about Small Business Saturday, American Express has created a comprehensive marketing tool kit for small businesses that they could use free of charge. Go to https://www.americanexpress.com/us/small-business/Shop-Small/. FINE is on vacation in August. The next meeting is September 19th, our 20th Anniversary. The new format was a success! Feedback from the attendees at the April meeting was very positive. The venue worked well, we pretty much had the place to ourselves. Food was good, the breakfast buffet offered eggs, bacon, etc. The “gather around the table” format gave us all a chance to get to know each other better. The intros extended beyond the 30 seconds with questions being asked. Those who needed help were able to get answers, suggestions from others. We decided to start a bit later going forward, at 8:30. Format: Just networking. We will still do our 30 second elevator speeches so everyone knows who is there. Whole Foods is located at 350 Grasmere Avenue, next to Home Depot, minutes from I95. There is no charge for the meeting. Coffee, tea, muffins, a breakfast buffet are available for purchase.